The Patek Philippe 5960/1A Annual Calendar Chronograph may very well be the most controversial watch coming out of Baselworld 2014… In fact, this watch is probably the most controversial and divisive Patek Philippe in a long, long time. I’ll give you a hint as to why… in Patek Philippe-speak the “1” stands for bracelet and the “A” stands for “Acier” which is French for steel. Yeah, the Patek Philippe 5960/1A Annual Calendar Chronograph only comes in stainless steel. A fairly complicated Patek Philippe in stainless steel… like I said… controversial. But, I like it. Quite a bit, actually. I’ve always liked the look and layout of the 5960s. I’m glad that hasn’t really changed too much. Most of all, though, I like the fact that it’s stainless steel. During this year’s Baselword, Patek Philippe announced an end to the Reference 5960 Annual Calendar Automatic Chronograph in all precious metals to make way for the stainless 5960/1A. Good. Before the Patek fans start throwing things at me, I have a good reason for saying that. It’s hard to find a fairly complicated watch in stainless steel. At the level of Patek Philippe, that most humble of watch metals is generally reserved for sports watches and entry-level pieces. To find an automatic annual calendar chrono in steel is not exactly easy. Audemars Piguet has the Reference 26209TI Royal Oak Offshore Perpetual Calendar Chronograph, but it’s in titanium. And, what if you don’t like the not-very-subtle look of the 42 mm Royal Oak Offshore? Sure, there are options out there, but none of them are a Patek Philippe, and none of them have Patek’s particular sort of restrained beauty. So, yes, I am in favor of the Patek Philippe 5960/1A Annual Calendar Chronograph in stainless steel. Now, let me explain the more objective merits of the Patek Philippe 5960/1A Annual Calendar Chronograph so those of you without any closely held biases toward precious metal Pateks can decide for yourselves. Let’s start with the movement. The Patek Philippe 5960/1A holds onto the caliber CH 28-520 IRM QA 24H self-winding movement from the precious metal 5960s (Patek’s first automatic chronograph caliber, by the way). 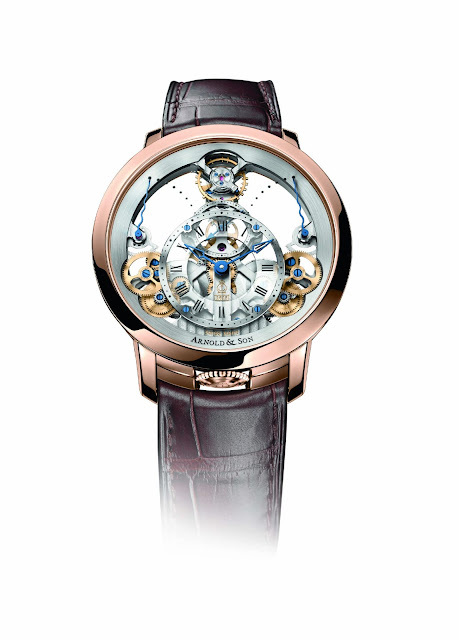 The annual calendar part of the watch is displayed via three apertures with black-gold bezels at the top third of the dial. The day, date and month are very clear in black-on-white; although, making the first of each month red is a nice touch. Just below the date window is a very simple -/+ power reserve indicator. 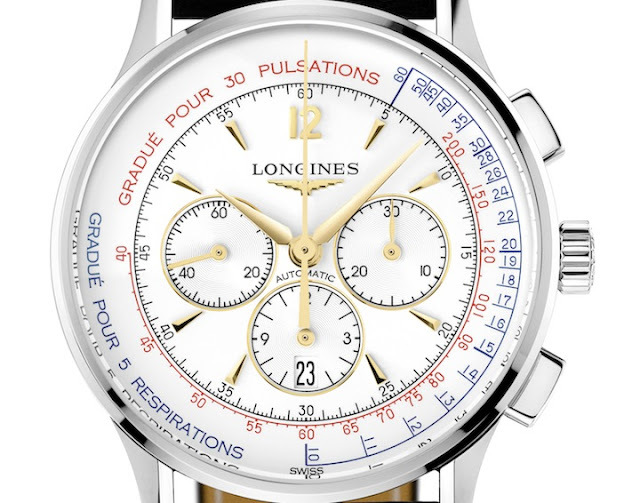 A sub-register at the six o’clock position takes care of the chronograph’s 60-minute and 12-hour counters. Just inside the chronograph’s multi-use register is a dot of a day/night indicator. Considering all of the Patek Philippe 5960/1A Annual Calendar Chronograph’s functions are fairly stacked on top of each other, the white opaline dial offers great contrast with dark gray indices, apertures, luminescent hour and minute hands, and bright red central sweep seconds hand. It’s actually pretty simple to read. The 40.5 mm stainless steel case is classic and simple, right down to the pump-style pushers. The stainless bracelet with fold-over clasp looks comfortable and easy to wear. All in all, this is such a good looking watch. And, in stainless, it should be pretty durable, to boot. So, yes, the Patek Philippe 5960/1A Annual Calendar Chronograph isn’t your traditional complicated Patek. 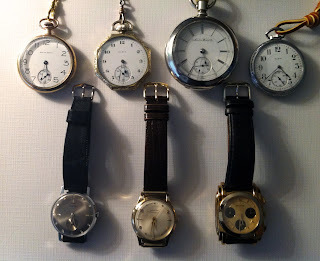 But, I think there is definitely a place for it in any Patek Philippe collection. With a $54,800 price tag, it’s not exactly cheap, but for an annual calendar chronograph Patek Philippe, it ain’t exactly bad either. If you’re one of those steel Patek haters, it’s your loss. For more detailed info, visit Patek Philippe’s website and check out the tech specs below.